Over the past hundred years, scholars have attacked the historical truth of the Gospels and argued that they were originally anonymous and filled with contradictions. 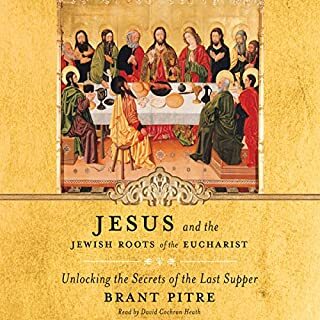 In The Case for Jesus, Brant Pitre taps in to the wells of Christian scripture, history, and tradition to ask and answer a number of different questions, including: If we don't know who wrote the Gospels, how can we trust them? How are the four Gospels different from other Gospels, such as the lost Gospel of "Q" and the Gospel of Thomas? How can the four Gospels be historically true when there are differences between them? How much faith should be put into these writings? As The Case for Jesus will show, recent discoveries in New Testament scholarship as well as neglected evidence from ancient manuscripts and the early church fathers together have the potential to pull the rug out from under a century of skepticism toward the apostolic authorship and historical truth of the traditional Gospels. Would you listen to The Case for Jesus again? Why? Yes, I plan to. This book is such a treasure-house of information and discovery. What other book might you compare The Case for Jesus to and why? Perhaps another story--like Indiana Jones. I'm not kidding. This book has a kind of thrill to it that feels like your on the hunt for treasure. You find it in the truths he describes in Scripture. Excellent. Wow! 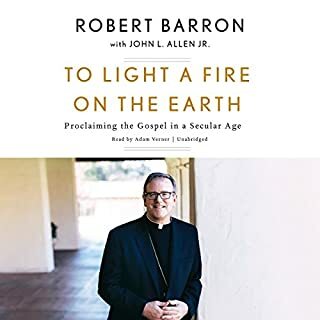 Outstanding presentation; a must read for all Christians and non-believers. Concise and well organized book. How could anyone argue after listening to this? His evidence is so compelling and thorough. Anyone doubting their Faith should listen to this! Gives solid evidence to why some modern biblical scholars are completely wrong on their dating of when the gospels were written. Answers the tough questions on why we should believe that the Bible is accurate. Full of great insights about Jesus and the Bible, highly recommend. Whether you are a Christian or not I think you will find Pitre's presentation of the subject fair, scholarly, yet approachable. He makes a surprisingly convincing case for the historicity of the gospels and Jesus claims to be Devine. The insights into 1st century Judaism make it valuable even if you have know doubts as to who Jesus was. This book was so very informative, powerful and backed up everything said with in depth knowledge of history. The reader was very enthusiastic and easy to listen to. 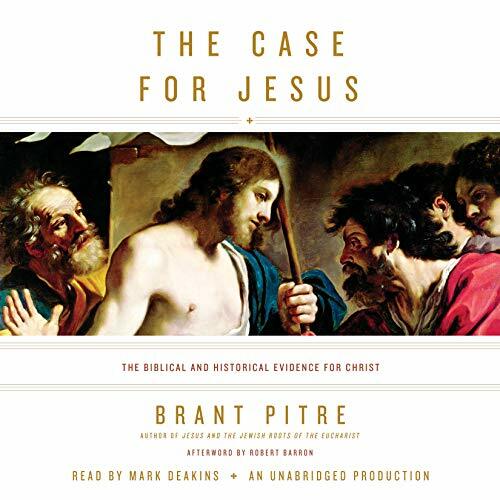 Brant Pitre has written a thoughtful and well researched examination of the case for Christ's Divinity and Messiahship. He effortlessly debunks the hypotheses put forth by many atheist New Testament Scholars , as well as those who are academically irresponsible or lazy. I have learned a lot with this book. I have enjoyed it very much. The information is clear and easy to follow. This book answered many of my questions. Jesus divinity, his claim of who he is in the synoptic gospels, etc. Will read and listen more of Dr Brant Pitre. 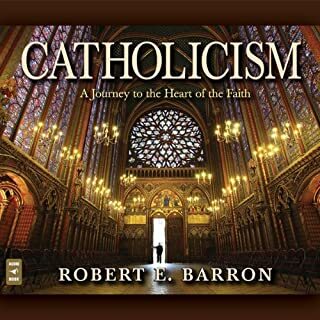 This book needs to be read by the new Atheists, practicing Catholics, lapsed Catholics, all Christians, and everyone who might doubt the divinity of Christ! A refreshing look at the best story ever told. 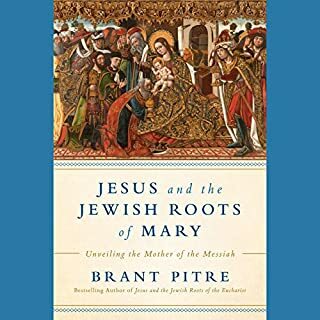 Dr Pitre illustrates how being familiar with the thoughts and customs of a 1st century Jew's we are able to explore with greater depth and awe the beautiful and transformative messages of Jesus Christ. An solid piece of great scholarly work written in an intelligible and passionate language by this brilliant professor. 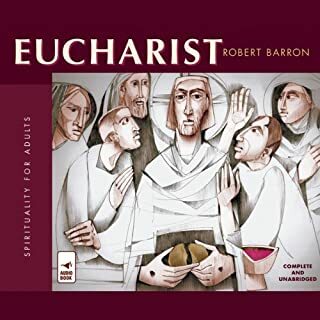 A must read for all Catholics, heretics and inquisitive sceptics alike. 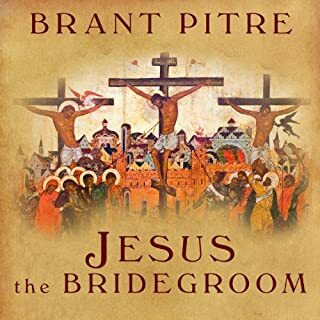 I enjoy Dr Brant Pitre’s work so much, and this was no exception. What would have made it even greater is if he was the narrator, that would have made it perfect!